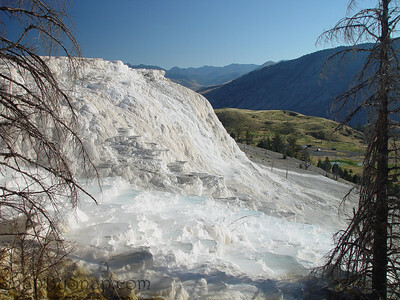 From bubbling hot springs to snow covered peaks. 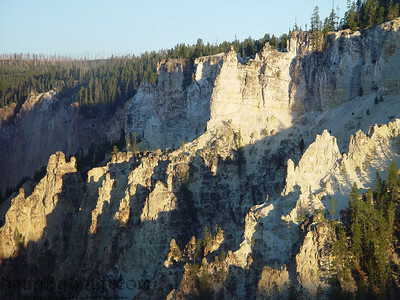 When you think "wilderness," you thing Yellowstone. 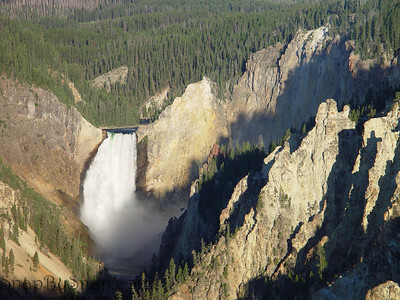 This is my favorite National Park. 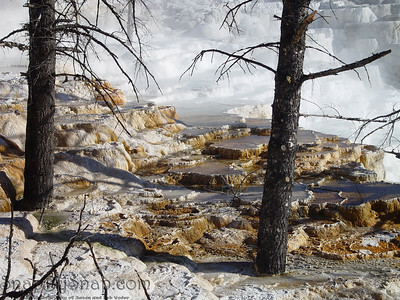 This is Canary Spring at Mammoth Hot Springs in Yellowstone National Park. 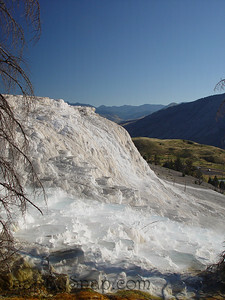 This image was taken less then 24 hours after an earthquake that diverted the flow of the hot spring from a wide terrace to a thing stream. 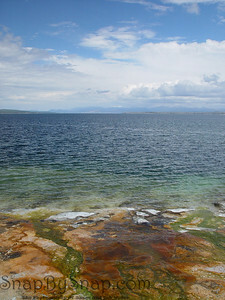 3 years earlier, I remember sitting on a bench on the board walk in the morning and enjoying a natural steam bath. 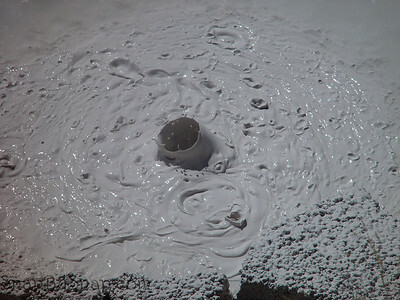 After the earthquake, it is only a memory. 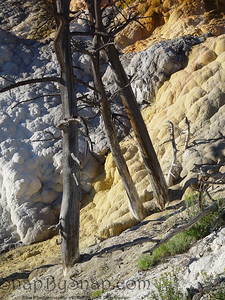 Detail for some trees that have been overtaken by the never ending expansion of Mammoth Hot Springs in Yellowstone National Park. 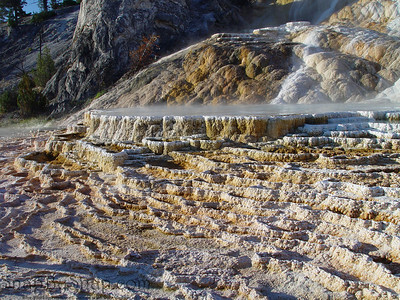 Detail of a terrace created by the never ending expansion of Mammoth Hot Springs in Yellowstone National Park. 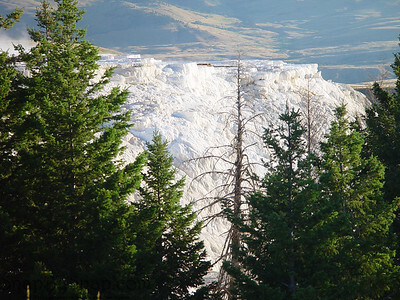 The snow white terraces of Mammoth Hot Springs makes a sharp contrast with the green of the forest in Yellowstone National Park. 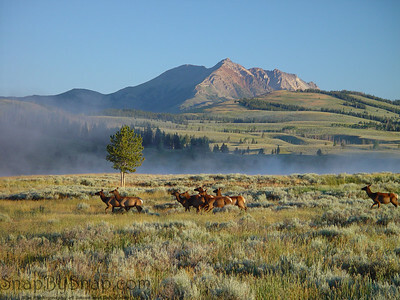 With Electric Peak in the background, a herd of elk walk through the early morning mist in Yellowstone National Park. 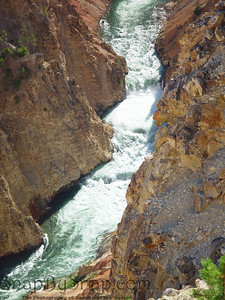 Looking at the Yellowstone River in the Grand Canyon of the Yellowstone in Yellowstone National Park. 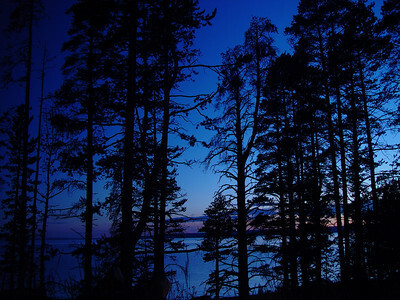 Looking through some trees at Yellowstone Lake in the late evening in Yellowstone National Park. 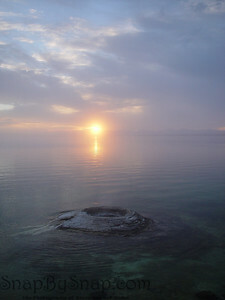 The sun rising over Yellowstone Lake with Fishing Geyser in the foreground in Yellowstone National Park. 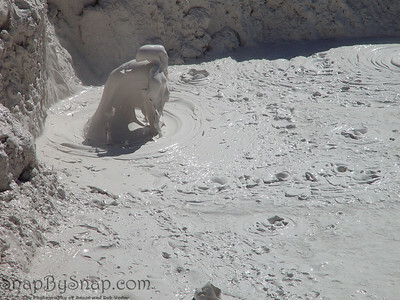 Before it was protected, fishermen would catch a fish in the lake, and then drop the fish in the geyser to cook it. All without removing it from the fishing line. 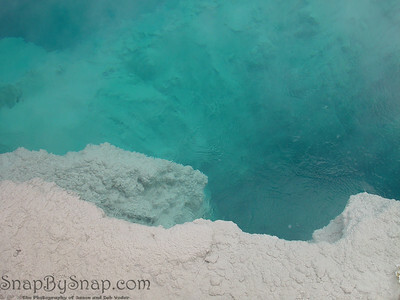 Peering into the boiling blue water of a hot spring in Yellowstone National Park. 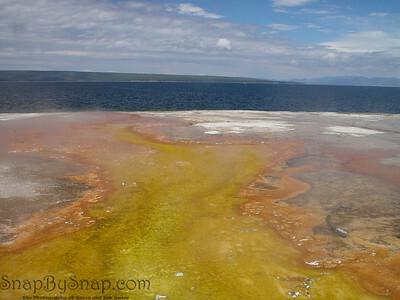 The colorful shoreline of West Thumb Geyser Basin in Yellowstone National Park connects with the cold water of Yellowstone lake. 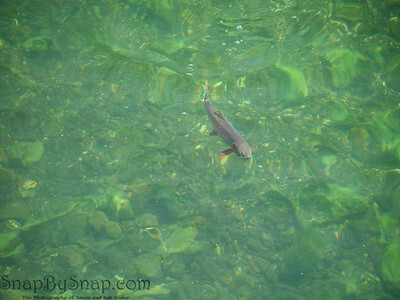 A fish swimming in the clear waters at Fishing Bridge in Yellowstone National Park. 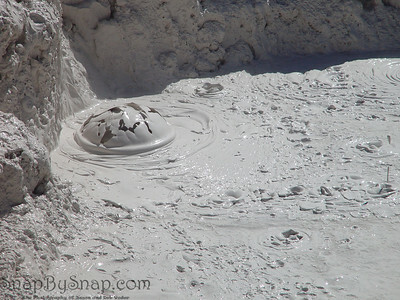 A mud volcano boils in Yellowstone National Park. 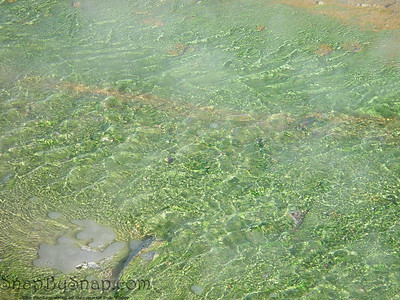 Detail of boiling green water in a hot spring at Yellowstone National Park. 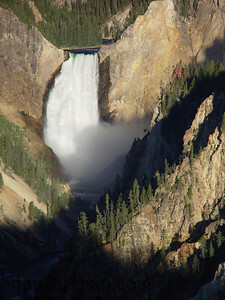 Early morning image of the Lower Falls in the Grand Canyon of the Yellowstone in Yellowstone National Park. 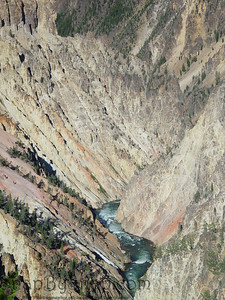 Looking at the early morning sun striking the formation in the Gran Canyon of the Yellowstone in Yellowstone National Park. 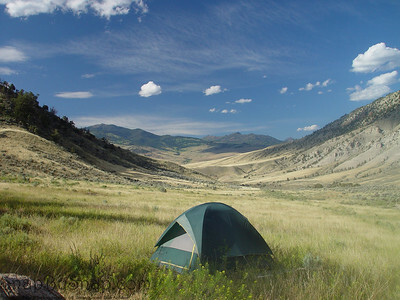 A campers dream. 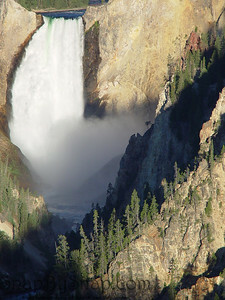 A tent set up with a spectacular view in Yellowstone National Park. 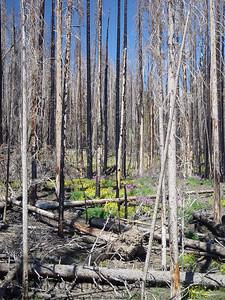 17 years after the Yellowstone wildfire, life is returning to the forest in Yellowstone National Park..